Celebrating the first music release on Pigeon Project Music!!! House Music Fridays at The Air Conditioned Lounge is a weekly event celebrating good house music, good friends and good drinks. 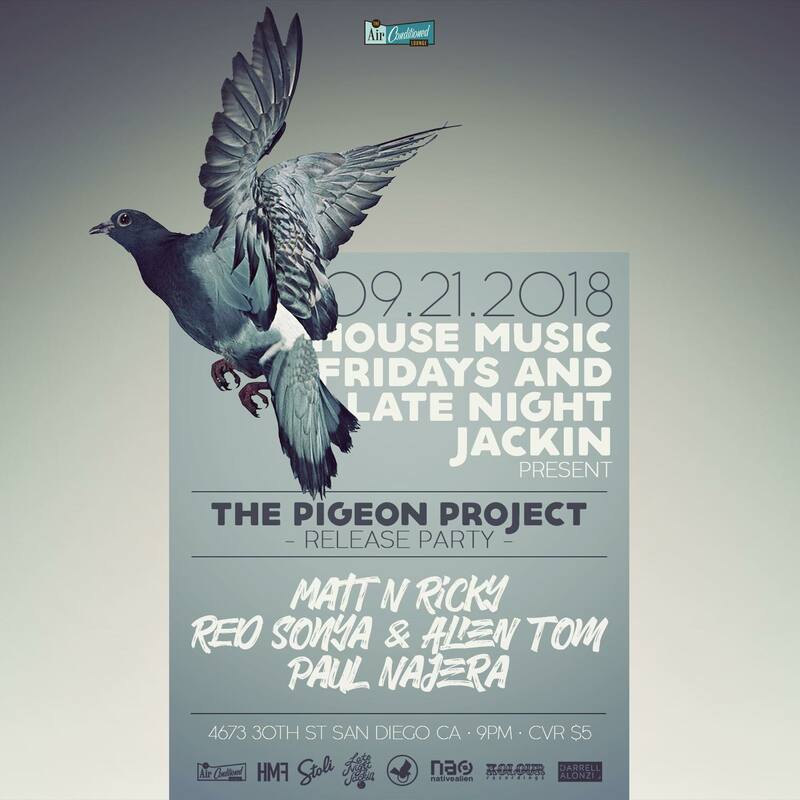 Setting out to create a truly unique environment in San Diego, House Music Fridays brings you exceptional talent in a venue where everyone’s individuality is appreciated and encouraged. It is the only place for true House Music heads in San Diego to be on Friday nights. The atmosphere, crowd, music, vibe, and sense of community you feel there is like no other. It’s the place where the best, up and coming local artists preform alongside world renowned talent, because local record labels, promoters, and djs are working together to make it that way. Whether you just want to meet a great group of people, or you want to dance the night away, House Music Fridays at The Air Conditioned Lounge has got you covered.